A-List Actor Mark Ruffalo has supported Fox and joined forces with other celebrities including Susan Sarandon, Debra Winger, and many others to extend the reach of Fracktivism. 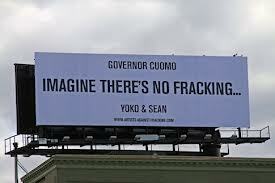 Yoko Ono, who also owns property in upstate New York, founded Artists Against Fracking with her son Sean Lennon. Their activism, along with the efforts of many unsung eco-heroes led to the recent passage of a two-year moratorium on hydrofracking in the New York State Assembly, with strong support for a positive vote in the State Senate. Matt Damon starred in a narrative film about fracking, “Promised Land,” (2012) which did not have a long stay at theaters, but contributes to the overall amplification of the Fracktivism movement. With the end to peak oil, corporations seek more invasive ways to extract these dwindling resources from the earth. What do you think will be the role of celebrities in these movements going forward? Will celebrity actions be adequate? How important do you think visual “click moments” and tweetable hashtags like #nofrackingway and #fractivism have on furthering the effectiveness of eco-messages and movements? I think the roles of celebrities is to further inform the public. The movies are great but I think that it has limited reach. Not everyone is going to want to watch a documentary over a high budget action film. I think it would be good to try to inform the “non-activists.” I think a good way to do this is via twitter/Facebook posts or a viral video & even a “funny” or commercial with enough info to get the audience informed but not bored or make them forget. I love the hashtags! I think the #nofrackingway is easy to remember & would make an impact if used correctly. I think if a celeb were to tweet it with a bit of info or a link it could work. I believe that celebrities, whose actions or talks always get attention from the public, have completely strong impact on social media, especially nowadays. I think those celebrities’ roles in such movements consist of spreading them out to the public as well as increase awareness; they are the ones who could widely yet not really formally deliver important messages to public. As social networking platforms nowadays are most active and effective tools to deliver information to public, the way of introducing such movements through those social media forms would be most effective much more than those long films. I think it is more essential to focus on how to deliver the message in an interesting way that could grab attention from a wide range of people rather than how specific the message can inform about itself, especially for those important yet somehow boring areas of topic. Also, having such interesting names for hashtags seems completely successful in informing people in a very easy and effective way; those hashtags would then be able to help enhance audiences’ knowledge about and potential actions forward movements. Celebrities make movements cooler and bigger, but sometimes, celebs become bigger than the movement itself, which make it really hard support the cause. They have the money to push their causes, but the heart of the matter can get lost, which is why “click moments” are awesome to me. Celebrity actions are adequate for what they’re worth, but it’s nothing like getting the support of ordinary people with big hearts! I think social media brings everyone a little closer to normalcy. I think about when Paul Walker passed away, everyone would hashtag their condolences and feelings. It wasn’t just a “Fast and Furious” movie star moment, but we were all able to express our feeling to the masses! Celebrities aren’t really celebrities anymore. I can get famous on Youtube doing absolutely nothing, or have a reality show that is as false as the teeth in my grandmothers teeth jar on the night table. Ordinary people are the new celebrities! I agree with Deisy that the role of celebrities is to further inform the public about issues and problems within society that need more support and attention. Celebrities have a great influence on social media, and even a celebrity’s simple endorsement of a product or issue can go a very long way. Additionally, within our culture specifically, celebrities are idolized and glamorized by the media, and therefore a lot of people trust the views and would probably be more willing to support a cause if one of their favorite celebrities is endorsing it. However, I think reality can be seen as a double edged sword. Maybe we idolize celebrities too much and are too trusting of what they have to say and the products that they promote. Furthermore, a lot of times when celebrities support and endorse a product/cause, it is clear that they are just doing it for the publicity/money, and therefore their involvement becomes counterproductive. Based on my experience, I think it is clear that there are very few celebrities who voluntarily support different causes and try to raise awareness for issues on their own time/dime. I feel like most celebrities who engage in commercials to endorse/raise awareness for societal issues are clearly doing it for the money and the media attention. I think hashtags are a great way to gain attention for specific issues/causes because it allows people to search the given tag and learn about more that way. Also, it allows people to connect to specific hashtags and terms when discussing different issues within society. I think hashtags are only going to be more widely used in the future among various platforms. ( I remember when hashtags were only used on Twitter, exclusively, but now they are widely accepted and encouraged on most platforms, i.e. Facebok, instagram, pinterest). Overall, I believe that celebrities will always have a hand in economic, social, and political issues, though I do not know how credible nor effective this is. Although it may sound trivial, I argue that it depends on the celebrity and the cause they are paired with. For instance, I do not think Sean Lennon protesting against fracking for the sake of his father (in essence) will have as much of a pull as say Lady GaGa has on the fight for human (and in particular — gay) rights. To me at times, the whole point of celebrity endorsements can seem pointless; we need more than a few household names coming together to start a revolution. It needs to start in the people, the society altogether and trickle downward from there. On the contrary, I find “click movements” and hashtags much more effective. I can remember a few instances where I (rather embarrassingly) was not up on any form of current events and had no clue what people’s hashtagging meant. Because I felt so out of it, I went out of my way to research the hashtag for more information. The value of a community aspect of something like this — be it cultural, societal, economic, political — is wildly important. Although social media can often be detrimental, it has also been very influential in times of human crises. In addition, I believe documentaries can be invaluable and absolutely spur momentous movements. Celebrities impact on social media such as Facebook, Twitter and Instagram. These days, celebrities are easily idolized and people tend to follow them both in a good way and a bad way. However, they are more like to make money and get attention from the public rather than engage themselves into the issues to try to be aware of the issues. Yet, it is true that celebrities have more power to reach people in terms of spreading words than we do. As a non-twitter or Instagram user, I honestly do not see how effective the hashtag works. I saw many friends hashtaging when they want to say something indirectly on their own SNS, and it was interesting at first and was rememberable to me. If the hashtags are used in appropriate ways, celebrities will prove the effectiveness of eco-messages and movements. I believe that celebrities will have a role moving forward in this type of movements as once again it is a way for people to become aware of different issues that are happening around the country and the world. Their role is to let people know that this is happening, they have to use their ‘influence’ and exposure to tell the world that something must be done and something could be done. I feel as if all actions are adequate as long as you believe in what you are preaching. Therefore as long as celebrities are doing this honestly and because they truly believe in the cause, then people will reach positively to it. However if there was to be any type of monetary endorsement, then it would be a very negative thing, as it wouldn’t be ‘honest’ and people wont believe them. Overall I believe that the click moments are very important because by becoming the most used hashtag or most popular topic, it makes people look at it, it brings attention to the issue and people are aware and therefore more and more will join the cause. Celebrities have strong influence on public because people always keep their eyes on them. Every single word they say gets attention and every single action they do is under the spotlight. I think the celebrities are acting as a bridge in informing the problems to the society. Because through them, messages are spread out much friendlier. Since people are familiar with these celebrities, there is a great impact in delivering messages to the society especially serious messages such as global issues. Some celebrities are doing adequate actions because they are trying to communicate with the society through media to raise awareness of the people. I think hashtags are working very well because it makes the people to get the idea immediately by just looking at it. Since hashtags are the key words, it is easier for them to search for more information. “When the oil and gas industry comes to town, they like to brag about the benefits fracking will bring to the local economy. We’ve seen this myth unravel again and again. Whether it’s Chesapeake Energy stiffing folks on royalties or local Pennsylvanians telling us there were a few jobs for them at first in the oil and gas fields being drilled in their own backyards but they quickly got phased out by guys from Texas, it’s clear fracking is not the local economic savior the industry makes it out to be. The role of celebrities in these movements is essentially PR. They are recognisable and (for the most part) widely respected. And if they’re genuine about the cause they are promoting (i.e. putting in the hours, showing their commitment through actions more than words, etc.) then they’re impact is greater. That being said, there is still that aspect of “yeah, but he’s an actor, he’s not a specialist in this field so why should I listen to him.” So whilst I think celebrities are a great tool for getting people’s attention, there isn’t much longevity for their use for promoting causes like tracking. There needs to be a moment where they step back and invite people to listen to the professionals. Visual “click moments” are essential, particularly short, succinct and shareable ones. It seems that everyday there’s a new cause to fight, or a new charity to support, so ensuring yours gets out there and is watched by a large audience is vital (here’s where utilising celebrities is a huge help). Tweetable hashtags are another effective tool, but it’s more of a way for companies to measure their audience than anything else. 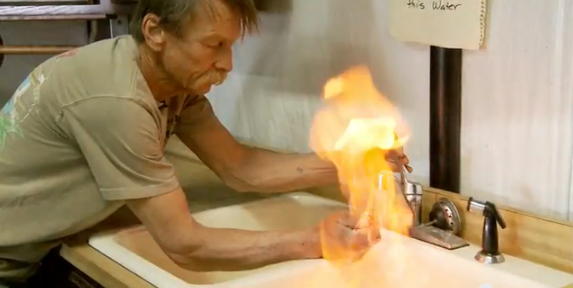 In the olden days people were not as aware of social causes such as fracking as they are now. The only thing that makes it easier for people to gain knowledge about these issues today is the power of media. More than even the television, the reach of the internet to millions of people around the world makes it easy for issues like fracking to be known about. The role of celebrities in movements like nofrackingway is to spread further awareness of the issue to the public. However I believe without the internet and social media that is not possible. With the use of forums such as Facebook, twitter and instagram celebrities are able to reach many people across the globe. I believe the reason celebrities have the power to spread the world to the public is because their voice is heard louder than others. However I do not think that the actions of celebrities are enough as there are only a handful of celebrities in the whole population compared to the millions of other people who are not famous. 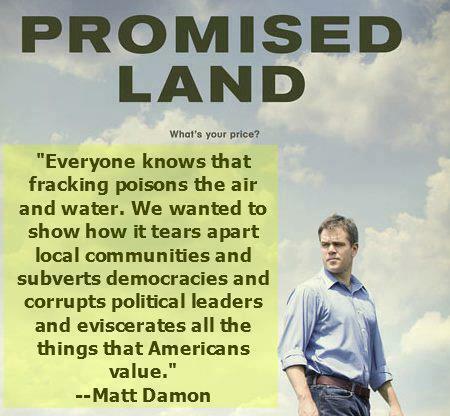 I think it is important for people other than just celebrities to make an effort towards spreading knowledge and doing something about issues like fracking. I believe it is definitely beneficial having visual ‘click moments’ and tweetable hashtags because it attracts the attention of a lot more people and it also keeps people engaged in the issue as people tend to remember movements through hashtags etc.